I woke up today at 6:30am (which is SO unlike me), went directly into my home office, and started writing an open to a movie about my dad. I was feeling anxious and inspired. I witnessed myself typing but was in disbelief about it. The words were just flowing through my fingers with little conscious thought. A movie was forming before my very eyes before the sun was even up! She told me to grab a camera, interview him and my mom, get our legacy on tape, relive our family milestones, talk about some happy times, celebrate the good life we’ve all had together! That got through to me. I remember sitting up, repeating what she had said to be sure I had heard her right, considering it and agreeing through tears to mull it over. Then, in a split instant, I apparently decided I was done writing, that I had enough initial inspiration down on paper. I instantly shifted into a panicked pull to get myself to the hospital right away to see my Uncle Jack! Just a few days since I had seen him last, I was strongly feeling now like I had a very short window of opportunity to spend with him and that life was passing me by! I raced to get dressed and just as I was nearing completion, the phone rang. Uncle Jack had just passed away. What is that on the left? I stepped into the garden to move a bush away to inspect the foreign object, and then I saw what it really was! 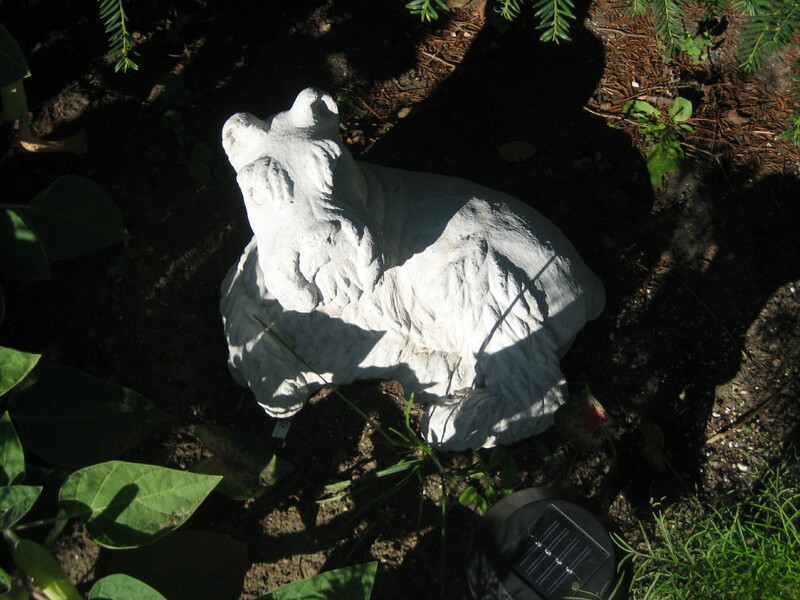 A cement statue of a Schnauzer, just like our deceased beloved family pet, Scruffy! Well, how did THAT get there?! A cement statue of Scruffy! Sobbing, full of emotions, I dropped and broke my camera. Then I proceeded to dial up some family and friends, asking them through sobs if they had left the gift. When I asked my mom if it had been her, she said no. I then told her I was coming over right now with a video camera. 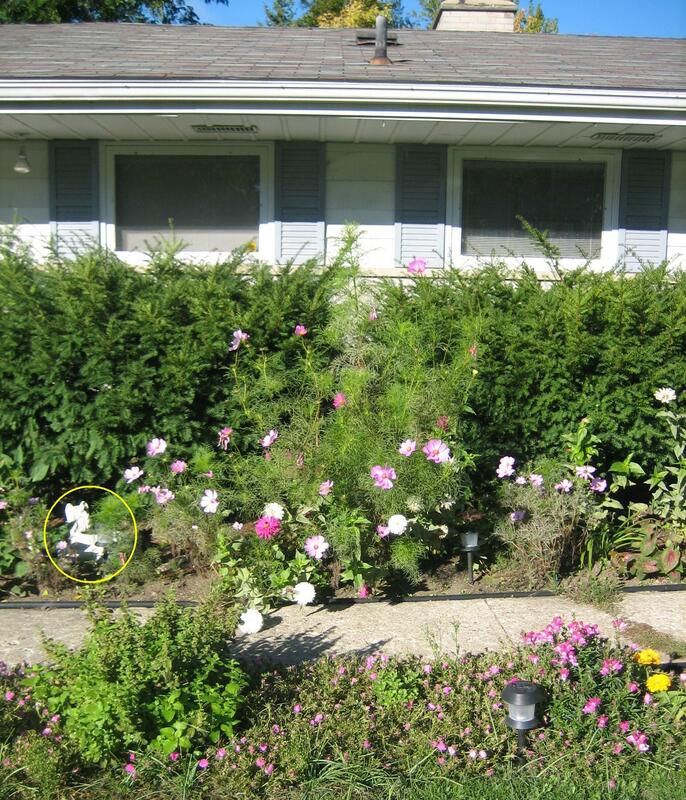 When I arrived, I reiterated through tears the story about finding the Scruffy statue in my garden. Crying, I said I didn’t know who would’ve done that! My dad playfully said, “Well, you haven’t asked me.” I said, “Well, I asked mom and she said it wasn’t you guys.” To which my mom said, “No, you asked if it was ME and I said no.” I looked at my dad in disbelief, said, “It was YOU?” and sobbed uncontrollably when he laughed and said yes! I fell into his arms and told him how much I loved him and how sweet he is to me. their cigarettes. Perhaps, you can always stay benmeficial with this device. kind of vaporizer is introduced in the market have different features. Surely, there is another very imperative categorization for vaporizers.